Newcastle rapper Rex Regis’ retirement lasted about as long as Loki in Infinity War. In his time away from releasing music, Rex has been spending more time nurturing the younger acts within the North East hip-hop scene. A musical father figure to many, Rex has been running Chat Trust showcases at Newcastle’s O2 Academy featuring some of the brightest up and comers in the region. It would appear a few moments have hit Rex lately; the rapper has also recently released the Sinister Six posse cut featuring Leddie MC, 90BRO, Max Gavins, Reali-T and Kay Greyson. The multi-MC collaboration was inspired by Rex’s passion for superheroes, something he mentions on Third Time’s A Charm. 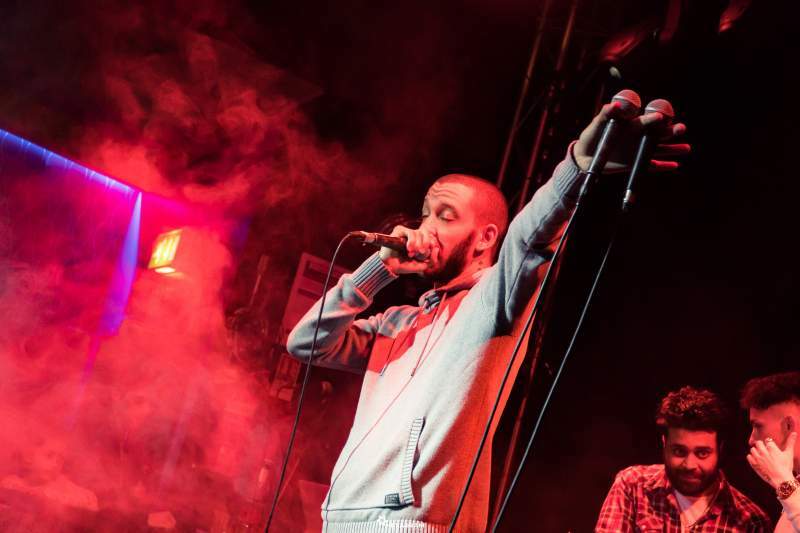 The Newcastle rapper has made no secret of the influence of Rick Fury, Chattabox and the rest of Dialect have had on his own career, as well as his love for Just B. While we’re yet to see an appearance from Chattabox or Just B, Rick Fury is lined up for a slot at the next Chat Trust showcase. The next Chat Trust showcase at O2 Academy takes place on Friday 20th July, and will feature Rick Fury, Ill Prepared, E-Mence and Max Gavins with more acts to be announced. Tickets cost £6 because, if nothing else, Rex likes to commit to his numbers. Let’s hope he doesn’t commit to this retirement malarkey so loyally. I don’t want to live in a world where I’m not gonna get more Running The Yard’s and Not From Round Here Wor Kid’s. Rex Regis releases Third Time’s A Charm on 1st June.